Stakey's Pumpkin Farm offers many attractions for the whole family. Come and visit all of our venues to experience an authentic North Fork working farm. Our field is planted and tended to by owner Jim Stakey, 3rd generation farmer, all summer long. 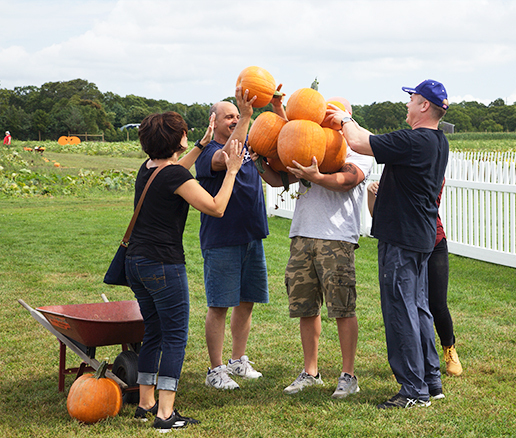 Jim’s hard work strives to give you the healthiest and best variety of pumpkins available on the East End!